I remember how surprised I was when I first learned that a laser was not only a light-emitting device, but also an acronym for “light amplification by stimulated emission of radiation.” Lasers have many applications today, from laser surgery and laser engraving to laser light shows. 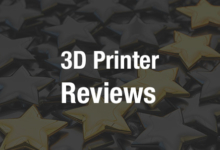 There are also multiple 3D printing processes that use lasers, like Adaptive Laser Sintering (ALS), Direct Metal Laser Melting (DMLM), Laser Metal Deposition (LMD), and Selective Laser Melting (SLM). This last is the focus of a new process, developed by the Fraunhofer Institute for Laser Technology ILT, which has yet to be researched in the field of SLM. SLM is also known as Laser Beam Melting or Laser Powder Bed Fusion, and the powder bed-based technique has been used to process metal in multiple sectors, such as automotive engineering, medical technology, and turbo machinery manufacturing. Researchers with Fraunhofer ILT, which is headquartered in Aachen, Germany and recently partnered with the Aachen University of Applied Sciences to open the largest SLM facility in the world, hope to further develop the SLM process to make it more suitable for 3D printing components made of copper alloys and pure copper. The research project is being funded by AiF German Federation of Industrial Research Associations. The SLM process is currently only suitable for copper alloys, but pure copper is more electrically and thermally conductive. Because it reflects up to 90% of laser radiation, only a small bit of the energy is deposited in the material and able to be used for the melting process; system components can also be damaged by the reflected radiation, and the material’s absorptivity for infrared light increases as the copper transitions to a liquid state, causing an unstable remelting process. By using green laser light with a 515 nm wavelength, copper’s absorptivity grows, so less laser power output is necessary to keep the process stable. Additionally, a green laser beam can be more precisely focused, so it’s able to manufacture more delicate components. At formnext 2017 in Frankfurt, Fraunhofer ILT will be introducing its research topic, using a model and initial process videos, for a specially developed laser beam source that operates with green light, instead of infrared, to enable the economic production of pure copper components. “We are hoping for a more homogeneous melt pool dynamics so that we can build components with high material density and achieve other positive effects, such as a higher detail resolution,” Heussen said of the new SLM approach. Fraunhofer ILT’s department for laser beam source development is building its own green laser source, in a project dubbed “SLM in green,” because one does not currently exist on the market that meets the boundary conditions of its new process. The immediate goal is to create a high-quality laser, which works with a maximum output of 400 watts in continuous service (cw) with green wavelength (515 nm), for single-mode operation, but the aim for the future is to develop a reliable process for industrial users, in which they can 3D print complex geometries with undercuts and hollow structures using pure copper. This process could be used to produce small batches of delicate, complex electrical components, efficient heat sinks, and even jewelry. When it comes to using the new process to make jewelry, the Fraunhofer ILT researchers are hoping to get a much higher detail resolution, and greater cost efficiency in production, than other 3D printing methods, like electron beam melting. The potential even exists for the green laser to work with other non-ferrous and precious metals in the jewelry industry. An ‘SLM in green’ laboratory setup should be ready by the end of this year. To learn more about Fraunhofer ILT’s new SLM process, visit them in hall 3.0, stand F50, at formnext this fall. Discuss in the Fraunhofer forum at 3DPB.com.